The parliamentary Resolution recalls the incompatibility of Sharia with human rights and calls for its abolition in Western Thrace (Greece). There indeed, it continues to formally govern relations within the Muslim community since its annexation to Greece after the First World War. In Molla Sali v. Greece of December 2018, the European Court of Human Rights (ECHR) did not dare take this position. In Strasbourg, deputies therefore seem more courageous than judges when facing Islam. 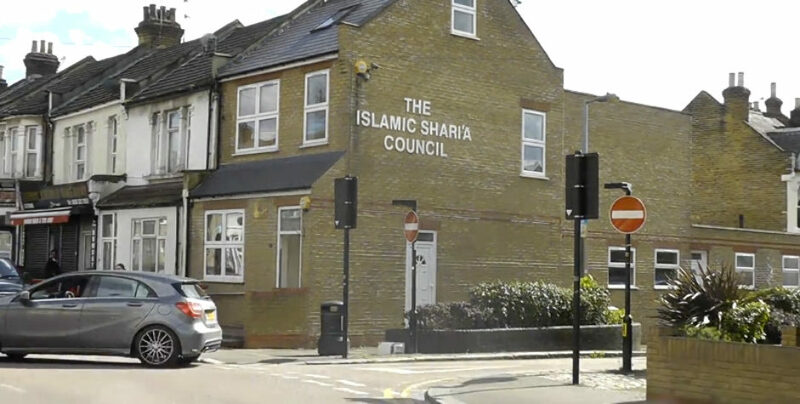 On the other hand, probably because of the demographic importance of the Muslim community in the United Kingdom, the Resolution calls on that State to regulate - and thus formalize - the judicial activities of “Sharia councils”. The number of these bodies, most of them connected to mosques, could be as high as eighty-five in England and Wales. Proponents of liberalism hope to neutralize Sharia by laying down conditions for its application. Grégor Puppinck wrote an article in the journal “Valeurs actuelles”, showing that this compromise is dangerous for Europe and analyzing in detail the parliamentary Resolution. While 69 deputies voted in favor of the Resolution, the 14 Turkish and Azeri deputies present during the vote all voted against; they were the only ones. The Turkish deputies are all members of President Erdoğan government’s coalition, AKP. They spoke in plenary to deny the problem: “there is no sign of recourse to the application of Sharia law in our countries” Asim Mollazade from Azerbaijan said. Yet Turkey and Azerbaijan have adhered to the 1990 Cairo Declaration on Human Rights in Islam, which is a legal formulation of the Islamic law. Why not withdraw from the treaty then? The AKP deputy defended the “freedom of minority groups” and criticized the so-called “great misunderstanding of Sharia in Europe” (Mustafa Yeneroğlu, Turkey). 8 deputies from liberal or far-left parties abstained. Since the beginning of the discussions in January 2016, the ECLJ had denounced the delaying tactics used by Turkey and Azerbaijan to bury any report and resolution project. Beside, Azerbaijan was accused in an official report of having set up a bribery system to corrupt deputies of the Assembly. The ECLJ has worked to ensure that this debate on sharia was not gotten rid of. In addition to our work at the Council of Europe, Grégor Puppinck also intervened in the French media before the vote on the Resolution: the Figaro Vox (translated here), Boulevard Voltaire, Sud Radio, RCF Radio, Les Dernières Nouvelles d’Alsace (DNA), L’Ami Hébdo, Putsch.